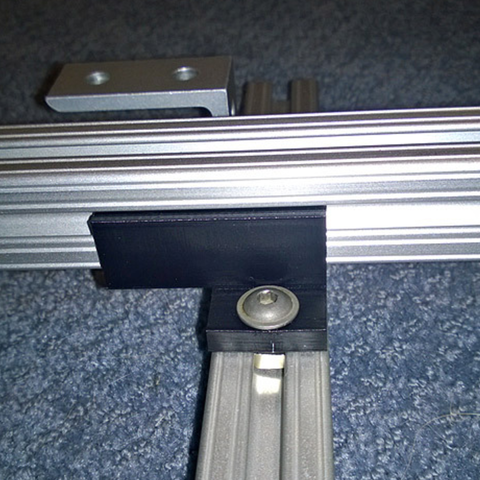 A captive linear slide carriage for 8020 aluminum extrusion size 1010 (1"). It uses 3 out of 4 sides, leaving one T-slot free to attach to something else. The carriage slides very easily with a balanced load, especially if oiled a little bit, but it will bind with small side loads. 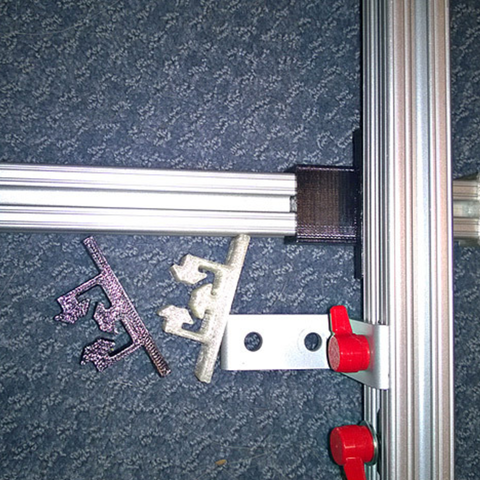 It is not meant as a part for 3D printers / CNCs, it will probably not take extended use really well. 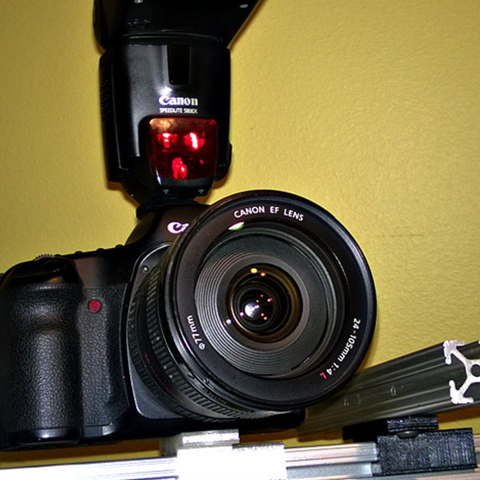 It has two 1/4" screw holes to attach to a perpendicular extrusion or directly to a camera tripod mount.